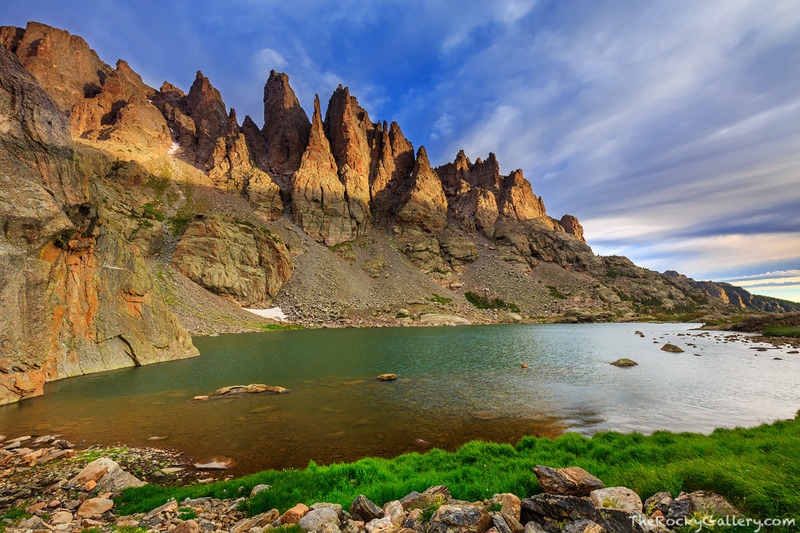 A ray of sun pierces the cloud cover and illuminates the famous granite formations above Sky Pond. Without question Sky Pond is one of the most beautiful locations in Rocky Mountain National Park and for lots of good reason. With the Sharkstooth and the Petit Grepon rising high above Sky Ponds beautiful alpine waters, hikers and climbers make the journey to Sky Pond to enjoy the beauty as well as the challenge of reaching this alpine wonderland. Photo © copyright by Thomas Mangan.